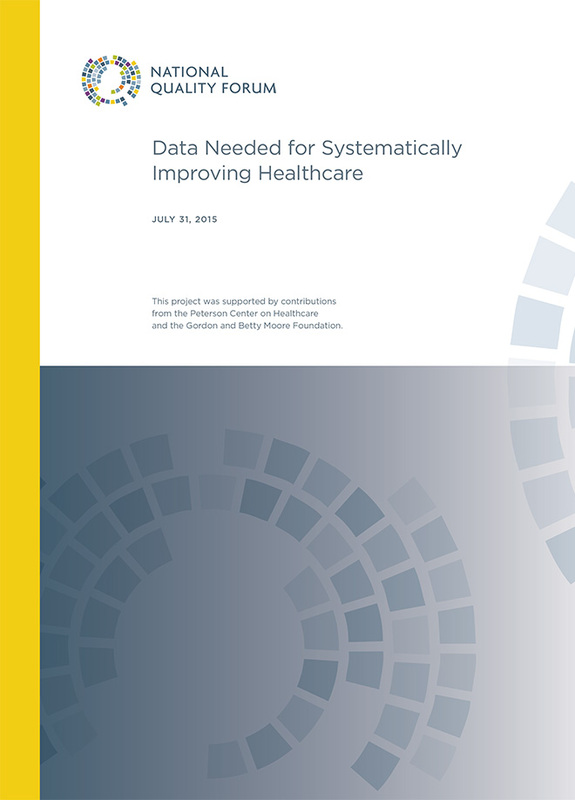 The Peterson Center on Healthcare supported the National Quality Forum in a public-private initiative to create a roadmap for making health data and analytics more readily available in order to support systems improvement in healthcare. This collaborative data project proceeds amid intensified national efforts to accelerate transformation of the nation’s healthcare delivery system to one that rewards quality and value above quantity of care. As part of the project, data experts from approximately 40 organizations, including the Office of the National Coordinator for Health Information Technology, the Centers for Medicare & Medicaid Services, and Johnson & Johnson, convened for a day-long meeting at NQF. The attendees held discussions to i) review the barriers that limit the availability of data for healthcare improvement on a national scale, ii) identify what data and infrastructure are needed to spread successful models for improving healthcare, and iii) begin to develop an action agenda to move the field forward. “When engaged patients and physicians have access to quality and cost information, better care decisions are made and better outcomes result,” said Jeffrey Selberg, executive director of the Peterson Center on Healthcare. The Gordon & Betty Moore Foundation also provided support for the initial work of the data project. A report from this project, outlining strategies to make healthcare data more transparent and usable, is available here.